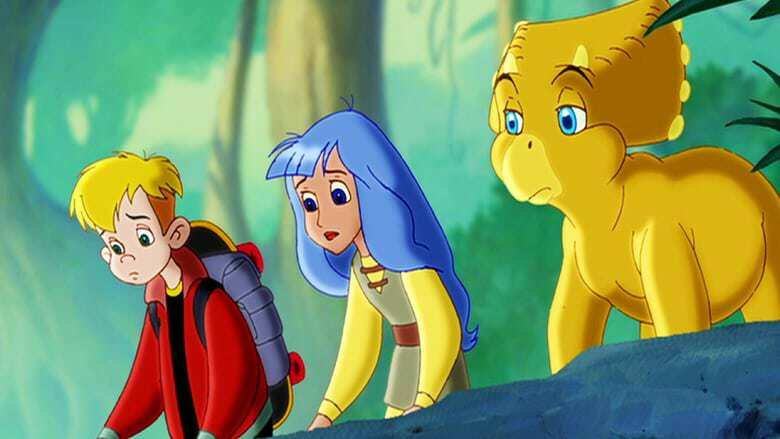 It’s not easy finding dinosaur related cartoons or movies but from time to time you come across some and you decide to give it a shot to see if they’re any good. 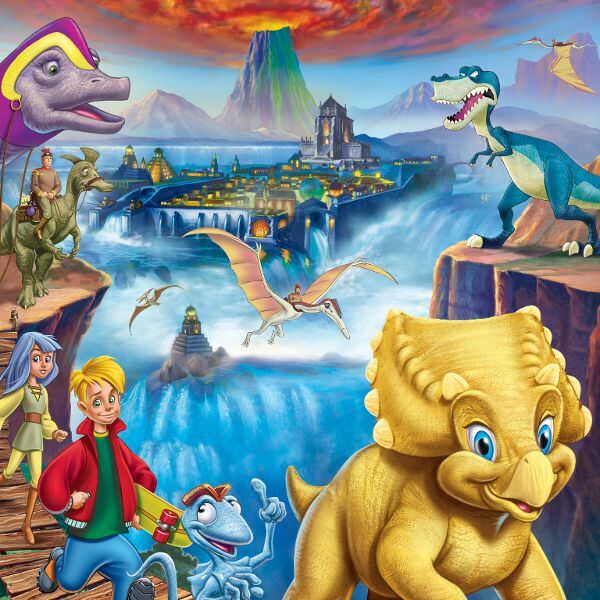 It was to my surprise to see Dinotopia had an animated direct to video movie called Quest for Ruby Sunstones in 2005 and always meant to check it out. 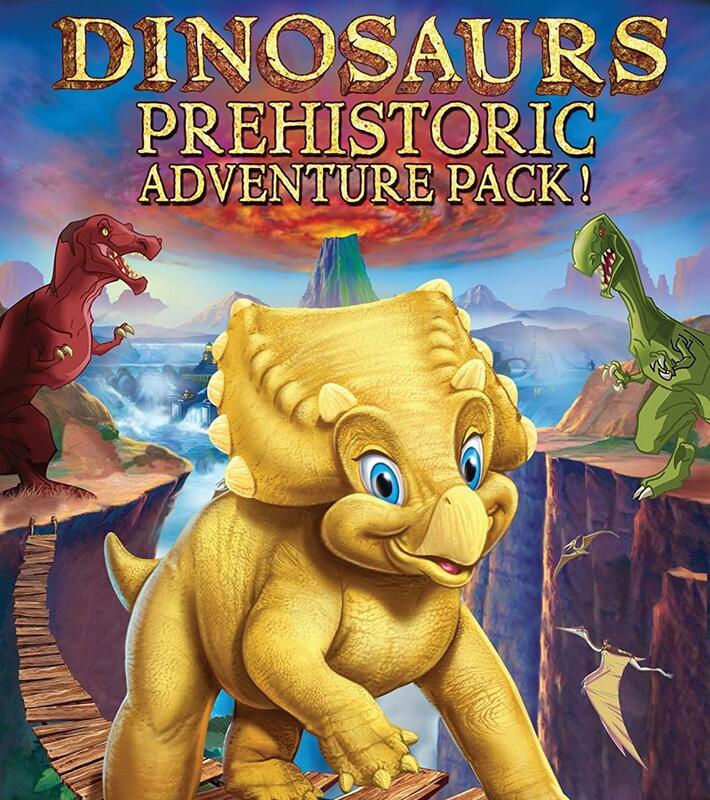 I also remember seeing it packaged with another movie called Dinosaur Island (unrelated to the 1994 and 2014 movies) what looked like a horrible cash-in that seemed as generic as it could get. I wasn’t expecting much from either but I was surprised by them. 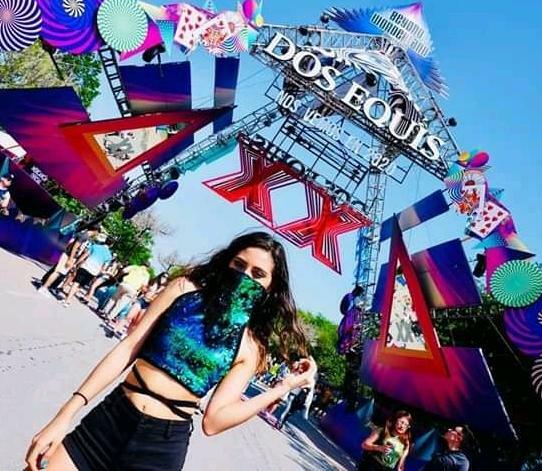 We have a story that is totally set in the early 2000’s since you have some extreme sports enthusiasts who are going to participate in a “survivor” like reality show and all four contestants want to participate. 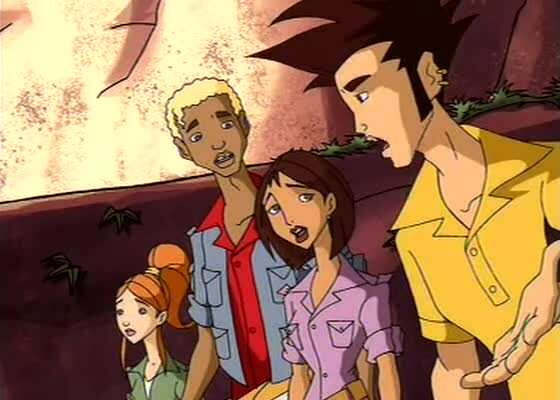 Their plane crashes on an island but the 4 teens think that it’s all part of the show and that surely there will be cameras. Since they don’t want to be eliminated they don’t want to cooperate at first and their different personalities doesn’t let it happen either. After a while they realize this island is too suspicious and not part of the game and decide to work together to get out. Weird since they saw plenty of dinosaurs in between all of it and they just brushed it off. 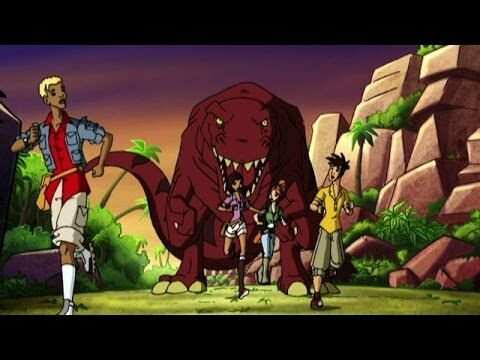 We see plenty of dinosaurs but not all of them have the best character designs, as far as the actual characters, Alex Chang, Leo Bryant, Jackie Rodriguez and Margaret Tim, all have decent designs. Very much look like they were designed in the early 00’s but that’s not a negative thing. I’m surprised there aren’t better screenshots and promotional artwork of this movie since I the current one is rather generic and doesn’t sell the movie at all not to mention it doesn’t tell you anything of what to expect. It’s still a kids movie and the plot is rather barebones as is the action, but I have to say that I liked the set up and this movie had a lot more potential with it, they just didn’t have the budget to make a good enough story. What this needed was to play more to its strengths and that meant craning up the skate culture influence it tried to tap. 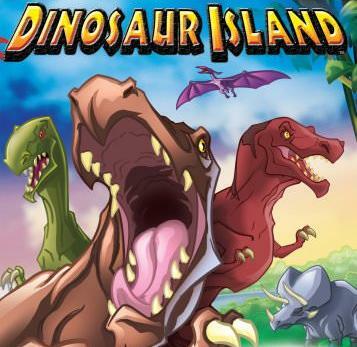 There are far worse dinosaur cartoons out there than this and at least it brings something a bit different than the normal Breakfast Club rip-off. I think it’s worth a watch and now more than ever want a proper x-treme sports reality show set on a dinosaur island and cranking up the early 00’s skater culture to the max. Dinotopia was one of those things that could’ve been huge but they didn’t do anything with it when they had the chance. 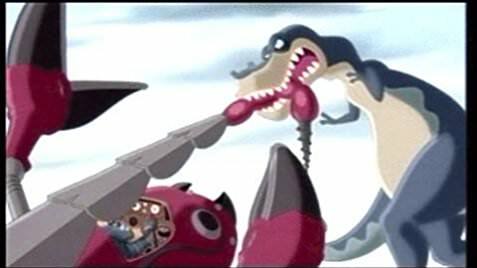 I mean a cartoon would’ve been perfect in the 90s and yet this animated direct to video film came out in 2005. Nevertheless Quest for Ruby Sunstone still had potential even if that name didn’t inspire a lot of optimism and neither did the Land Before Time like cover that the movie had. The story begins rather dark as the 12 year old orphan Kex Bradley says he’s too old and no one will ever adopt him and decides to run away and stowing away until he ends up shipwrecked on an island called Dinotopia. He meets dinosaurs there that apparently talk as well as humans. In this paradise world humans and dinosaurs live in peace together thanks to the Ruby Sunstone but an evil entity called Ogthar is revived and tries to steal the Ruby Sunstone until they stop him. So yeah, this is not the type of movie I exactly expected but then again I wasn’t familiar enough with the Dinotopia lore. While this is supposed to be an original story apparently the triceratops named “26” is the one from the Hallmark mini-series but that might just be a reference to the live action show and not that they’re in continuity as this cartoon seems to have its own set of rules. 26 reminds me a lot of Cera from the Land Before Time. At least of Cera if she were the leader of the group and a bit more responsible despite her flaws. The human girl who sets on the adventure Mara is an alright addition. I do think it kind of plays out as to what a Land Before Time movie would’ve been with humans involved. The designs of the dinosaurs are definitely weird as most are extremely stylized and cartoonish and I was not a fan of that. 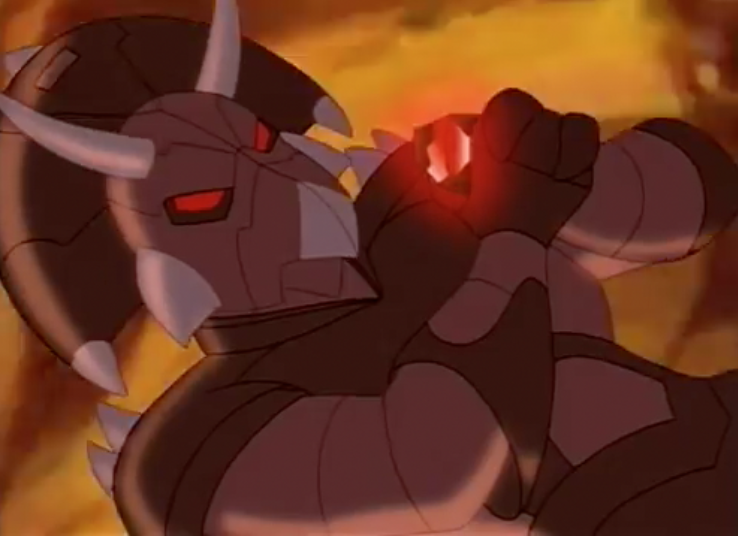 The cartoon doesn’t like to set things in a very realistic world and as if dinosaurs on an island with humans are not enough we see all kinds of crazy sci-fi things like giant robots and the bad guy Ogthar gets triceratops armor. 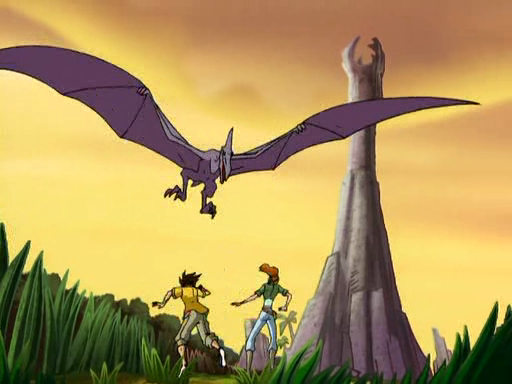 We do get some fan favorite Dinotopia characters like SKybax the Quetzalcoatlus. I can’t say it’s a great movie and even with low expectations it didn’t seem to meet them, if you’re curious then there’s no harm in checking it as it’s rather short but unless you’re very young I don’t see this becoming anyone’s favorite movie. 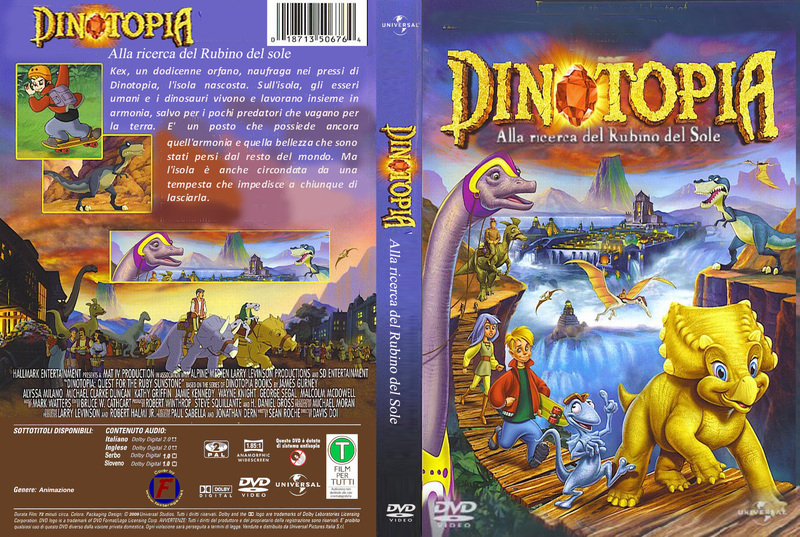 I do think an animated Dinotopia show has tons of potential and whether it’s CG or hand drawn I’d love to see another take on this franchise in the future.